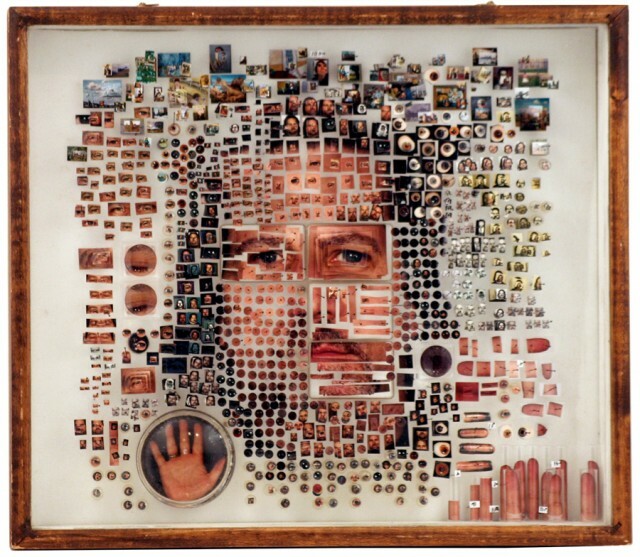 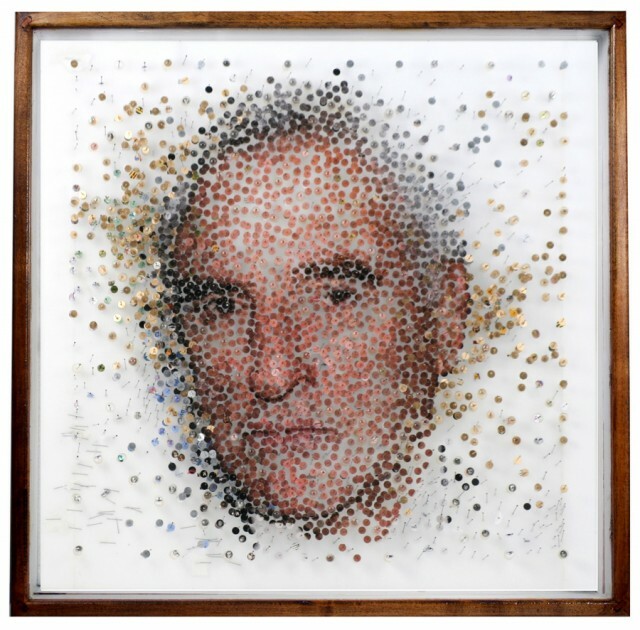 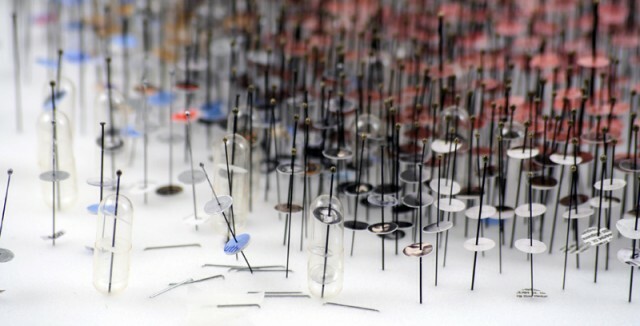 Artist Michael Mapes creates intricate photographic portrait pieces in which photos of the subject are cut up and distributed amongst vials, pins, and other medical and scientific containers and equipment. 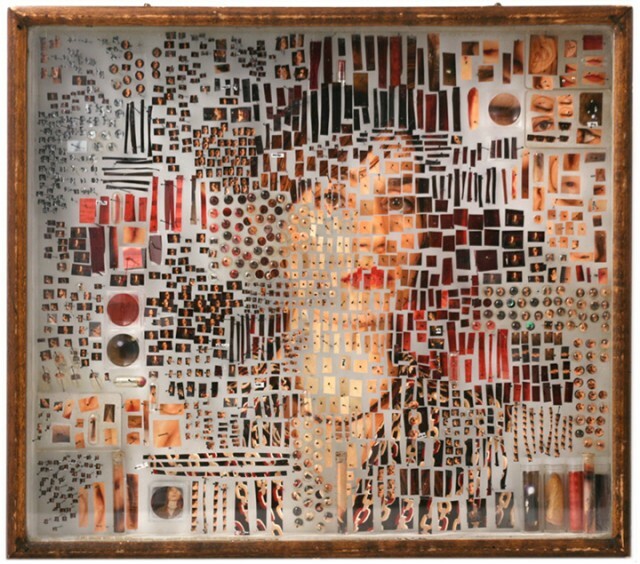 The portrait “specimens” are housed in a wooden box, along with samples taken from the subject, including fingernails, eyelashes, and handwriting samples. 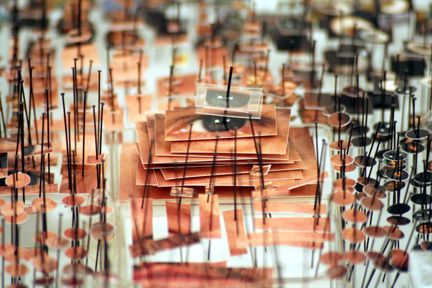 Subjects are determined by artist’s whim, life’s path, and commission. 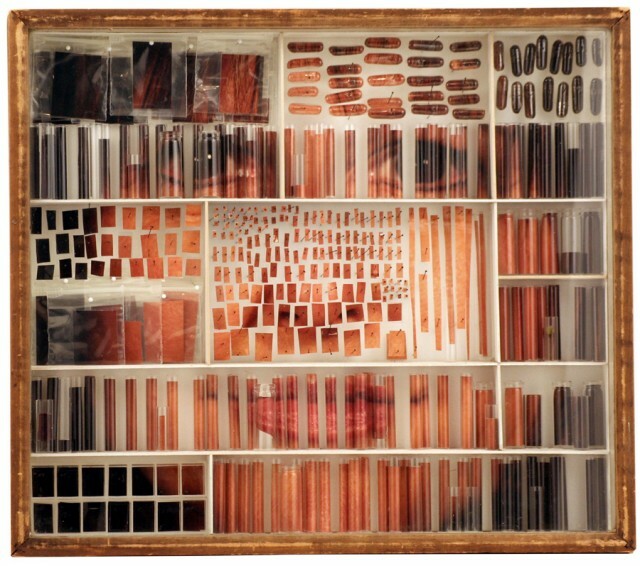 The boxes house thousands of individual specimens consisting of dissected photographs and “biographical DNA” in the form of such things as hair, finger nails, scent, eye lashes, fingerprints, food, botanical elements, fabric swatches, makeup, dirt, handwriting samples and breath.